Designed to protect your paddle board from the sun during those endless summer scorchers. Leave your SUP next to you with no worries while you relax on land at your favorite paddle destination. 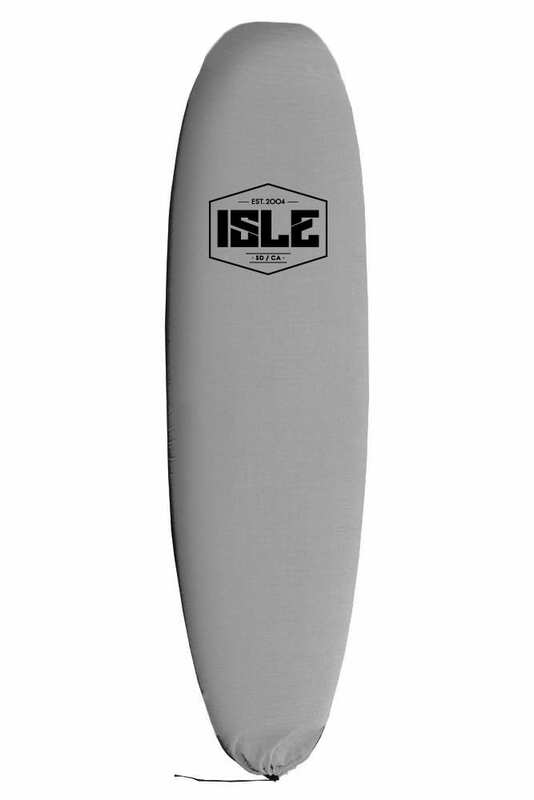 Fits inflatables, hard boards and soft top SUPs. 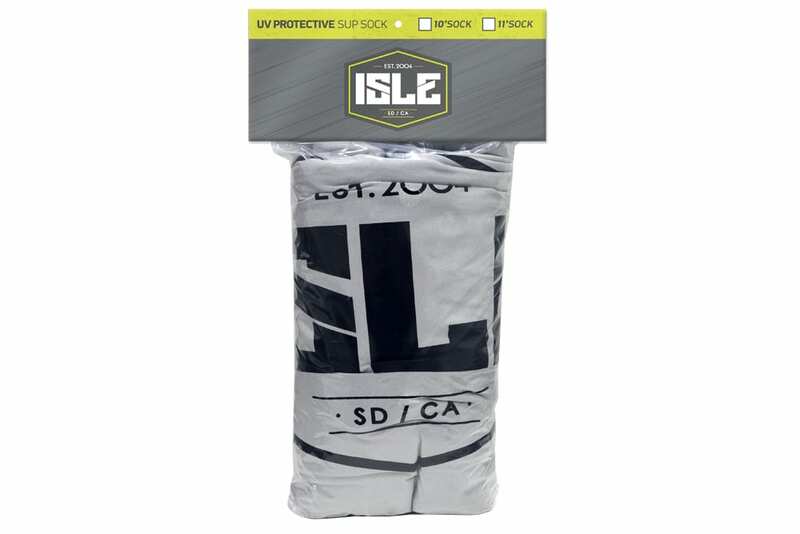 The ISLE UV SUP Sock is a great accessory to protect your paddle board from sun damage. This SUP sock is made of 100% spandex making it super simple to fit over any of your boards. There is a black draw string at the top of the sock to secure your board once it’s inside. This sock features a diamond ISLE logo in the center of the sock with a fin slot to avoid the hassle of taking your center fin out. Fits all SUPs – inflatables, hard boards and soft SUPs.